We went apple picking a few weeks ago and got so many apples. After a few days, everyone was kinda tired of them eating them. I decided to turn those apples into apple chips. 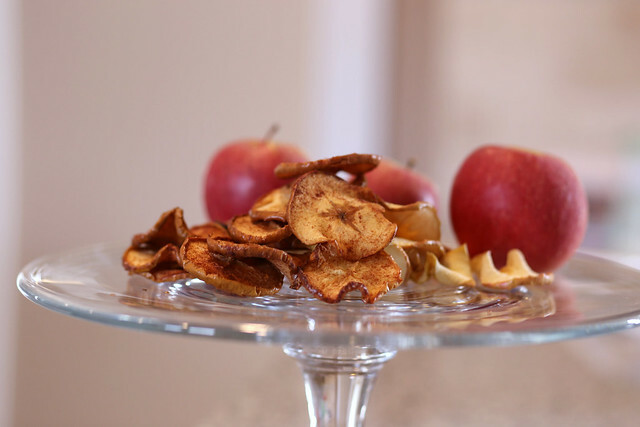 These apple chips totally satisfy a craving for the munchies. I basically cut those apples into thin slices, sprinkle a little bit of the cinnamon/sugar mixture over the top and bake them for 2 hours at 200 degrees Fahrenheit. 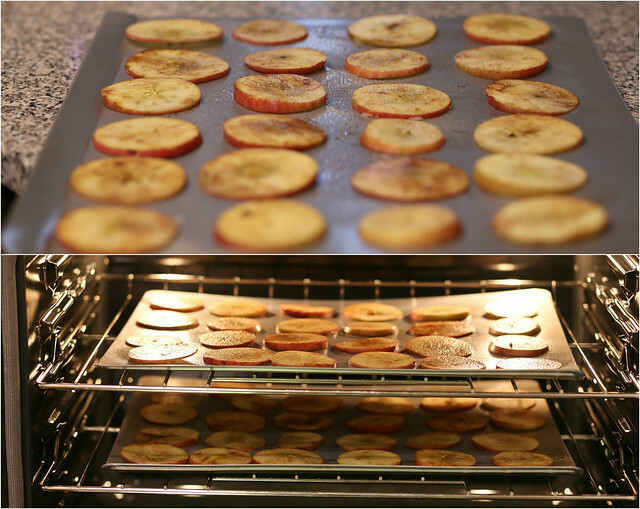 These apple chips are tasty, crunchy and not to mention, they'll make your home smell delicious. Happy Monday, everyone! 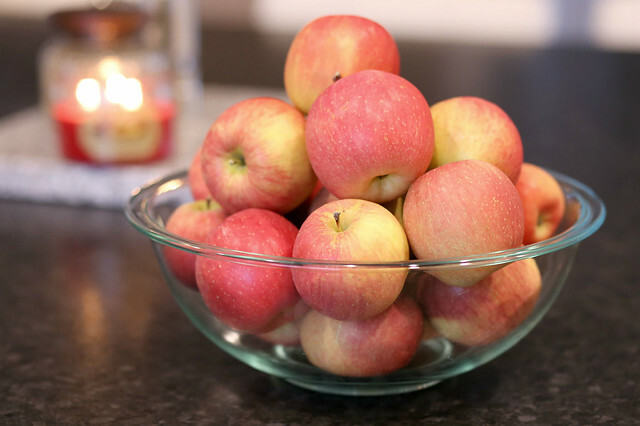 This look super yummy and apples are one of my favorite fruits. My newly discovered snack. Made them 2 times now. They never last longer than a day or 2 the max. Thanks for caring to share. Yummy!! The apple chips remind me of the ones sold with the Fuji Apple Chicken Salad from Panera. I need to try this! !